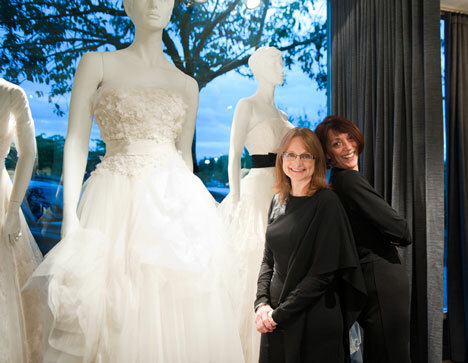 bride.ca | The New Vera Wang Shop-in-Shop on the West Coast! Vera Wang, noted U.S. fashion designer, known for her revolutionary designs and refined detailing, has been admired throughout the United States and Canada for two decades. Which is why we love her nealy expanded presence in Canada, in particular her brand new Vancouver boutique-within-a-boutique (@Blush_Bridal), complementing her existing Toronto Location. This is a unique concept where a dedicated section of a store showcases designs exclussively from one particular, prestigious design house...in this case, obviously, Vera Wang. Blush Bridal's newly renovated salon (still in West Vancouver!) is decorated in the ultra modern Vera Wang aesthetic. Charcoal walls, cement floors and charcoal furniture against crisp white décor elements really let the gorgeous bridal gowns stand out. 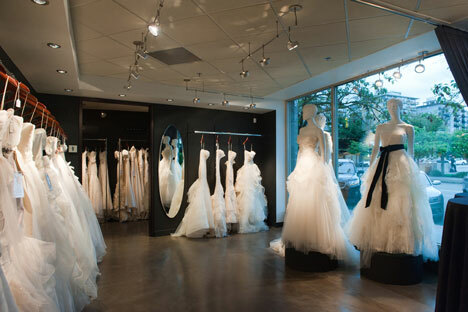 With a dedicated space to Vera Wang gowns, a larger representation of her collections can be stocked. At Blush's Vera Wang shop in shop concept, brides will be able to view gowns from both the Vera Wang collection ($3000-$8000) and the Vera Wang Luxe line ($8000-$14000). Shop in shop grand opening! 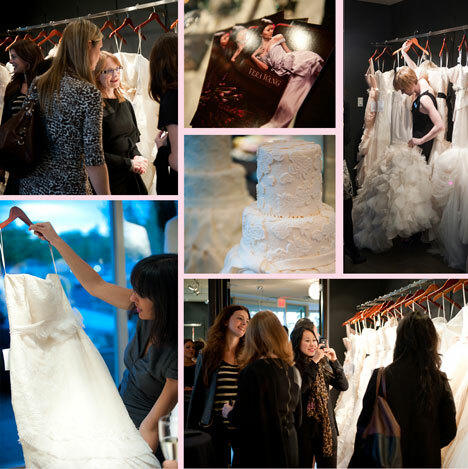 Blush Bridal's Lorna Paterson and crew presented the shop in shop concept to the Vancouver bridal industry in September. Guests mingled over drinks and appies while taking in all the beautiful gowns in the newly renovated space. Knowledgeable, friendly staff was on hand to introduce everyone to the Vera Wang gowns and to describe all the fabulous designs featured in the salon. Congratulations to Blush Bridal and thank-you for a fantastic evening!